Washington Gov. 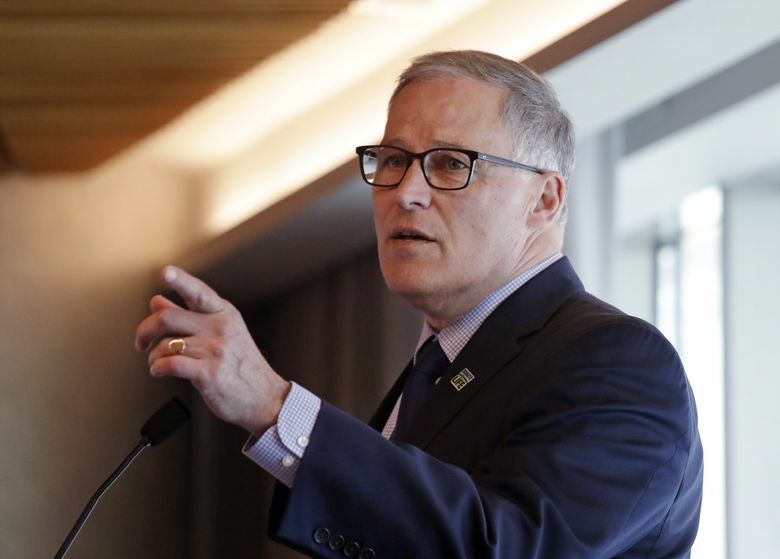 Jay Inslee has raised about $2.25 million for his presidential campaign and has done so from a broad enough array of states and donors that he’s qualified to participate in the Democratic debates, his campaign said Monday. Inslee, who launched his campaign on March 1, raised about $2 million through the end of last month for the primary election, his campaign said. That includes donations from at least 200 donors in 20 different states, one of the thresholds for participation in the official Democratic National Committee debates, which begin in June. Inslee’s campaign said that 75 percent of its contributions were for less than $25 and 95 percent of its contributions were under $100. But most of the campaign’s money did not come from small donors. Only about one-third of Inslee’s fundraising haul came from donations of less than $200, according to his quarterly Federal Election Commission filing, which was published Monday. About $1.1 million, half the money that Inslee raised, came from donors who gave $1,000 or more. And a total of $1.4 million came from donors who gave at least $250. Inslee received more money from donors who gave the maximum allowable $2,800 than he did from donors who gave less than $200. Inslee got maximum donations from several Washington Indian tribes, including the Suquamish Indian Tribe, the Lummi Nation, the Swinomish Tribe, the Muckleshoot Indian Tribe, the Tulalip Tribes and the Spokane Tribe of Indians. He also got maximum contributions from Seattle venture capitalist Nick Hanauer and Edmonds-based travel guru Rick Steves. Inslee has consistently lagged in national polls, rarely coming in above 1 or 2 percent. His fundraising numbers similarly are behind some of the early favorites in the Democratic field — Vermont Sen. Bernie Sanders announced $18 million in fundraising in the first quarter, California Sen. Kamala Harris announced $12 million, and former Texas Rep. Beto O’Rourke brought in $9.4 million. Inslee raised $285,000 that can only be used in the event he wins the Democratic nomination and advances to the general election. Inslee’s campaign has spent more than $840,000, leaving him with about $1.4 million in campaign funds in the bank. The largest chunk of spending has been for digital advertising. Inslee’s campaign paid $450,000 over about a month to Trilogy Interactive, a Silicon Valley-based digital firm that’s done work for unions and Democratic congressional campaigns. The campaign also reports about $365,000 in debt, including $119,000 owed to Seattle law firm Perkins Coie for legal expenses. Inslee is also being supported by a super PAC, dubbed Act Now on Climate, which can raise money in unlimited amounts. Most of the 2020 Democratic presidential candidates have disavowed super PACs, denouncing them as a tool of big money interests. Act Now on Climate, which is led by Inslee allies and announced a $1 million ad buy shortly after Inslee launched his campaign, will not have to disclose its donors until the end of June. 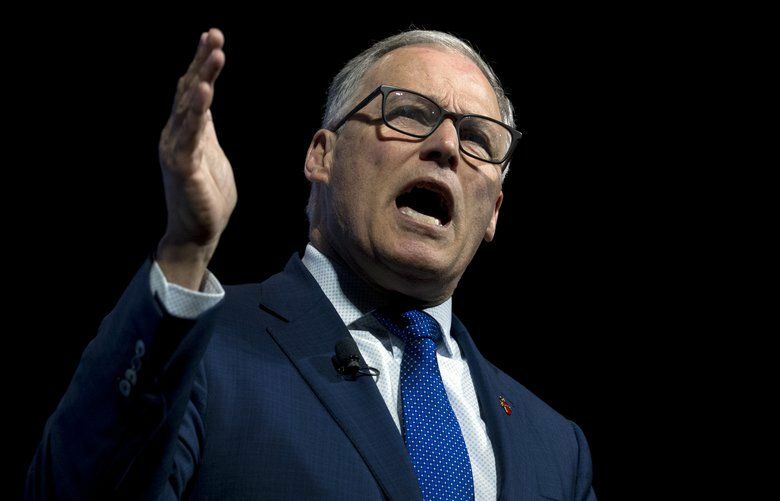 Since his launch in Seattle, Inslee has traveled to Iowa, New Hampshire, Nevada, South Carolina, Texas, California, New York and Oregon, promoting a campaign centered on halting global climate change. While much of the crowded Democratic field shares his views on climate policy, no other candidate has made the issue the cornerstone of their campaign. “We have a very short period of time to act, and whether we shrink to this challenge or rise to it is the vital question of our time,” Inslee said at his campaign kickoff.